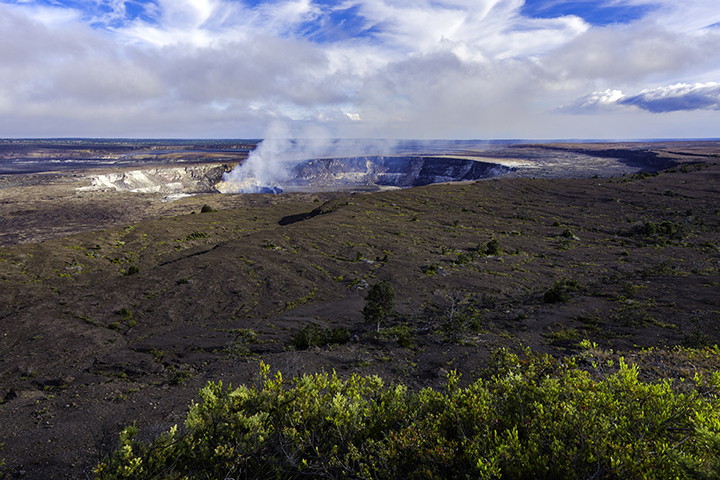 Exploring Hawaii Volcanoes National Park, one of the exciting experiences in Hawaii. Interested in Exciting Experiences in Hawaii? Are you a person seeking unusual and exciting experiences in Hawaii? If so, the rugged natural beauty of the Hawaiian Islands can potentially fulfill your quest for unique forms of excitement. Here is sampling of the exciting experiences in Hawaii that could be of interest to those seeking new adventures. Hawaii is one of the few places in the world where you can see an active lava flow. Moreover, you can actually see it flowing into the sea. Amazingly, the current volcanic activity on the Big Island of Hawaii has been active for well over 33 years. When hot lava meets the sea, there is an explosive reaction that few people can experience close up. But one of the easier and safer ways to experience the power of Hawaii’s volcanoes is through a helicopter tour. Among such tour operators are Circle of Fire Helicopter Adventure and Blue Hawaiian Helicopters. Kalalau Valley on the Na Pali Coast of Kauai. 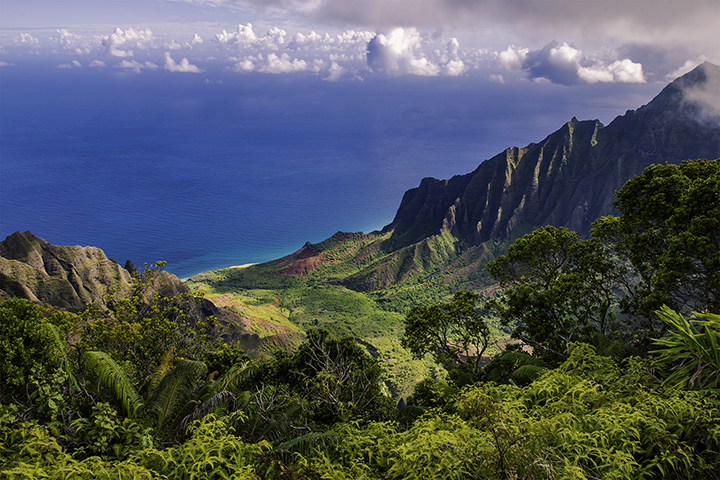 The Na Pali Coast on Kauai was the stunning and scenic backdrop in major movies. Such films include Jurassic Park, The Lost World and Six Days/Seven Nights. But you can only visit one of the most beautiful sea cliffs in the world by helicopter or by boat. There are helicopter, traditional boat as well as Zodiac raft operators offering tours of the area. Each will give you differing perspectives of the seaside cliffs, rugged coastline, sea caves and secluded beach coves. Those that desire a bird’s eye view of the area should definitely go on the helicopter tours. While those who want to get a closer intimate look should take the boat or Zodiac raft tours. Some of the operators are Kauai Eco Helicopter Adventure, Captain Andy’s Na Pali Snorkel Sail and Na Pali Snorkel Expedition. The Hawaiian Islands once supported sugar cane plantations irrigated through a network of tunnels, ditches and flumes. This irrigation network transported water from various sources to the fields. Hawaii no longer has active sugar cane operations. But a number of these tunnels, ditches and flumes still provide a truly unique way of seeing the islands. They also offer the perspective of what the early plantation managers and workers saw during sugar’s heyday in Hawaii. A number of operators also offer kayak or tube rides through these irrigation systems though what people now call fluming. Flume ride operators include Flumin’ Kohala on the Big Island of Hawaii and Kauai Backcountry Adventures on Kauai. Perhaps one of the most exciting experiences in Hawaii is parasailing. Parasailing is the practice of strapping a parachute-like contraption to a fast moving boat. It has dangling seats onto which one can strap parasailers. As the boat moves in the water, the parasail rises in the air. It then takes its passengers on a thrilling ride in the sky about 800 to 1,200 feet above Hawaiian waters. One of the most popular places for parasailing in Hawaii is right off Waikiki. Some of the parasailing operators in Waikiki include H2O Sports Hawaii, Paradise Watersports Hawaii and Parasailing Ride Service. A parasailing operators in Lahaina and Ka’anapali on Maui is West Maui Parasail. While one of the operators in Kona on the Big Island of Hawaii is UFO Parasail. A number of these activities can be booked online on Panda ® Online on our Hawaii activities page.